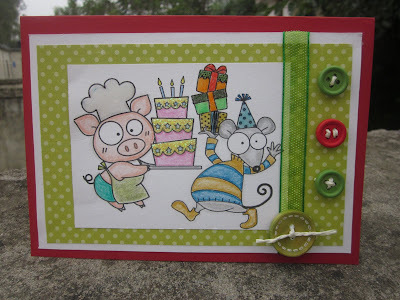 I'd like to share with you a few cards by Snehal today. She used one of retired free digi, Cute Monsters. And here is another one from her. Here are the links to her blog post. Visit there to leave some love for her! Both cards are just so cute. love those cute images... great job! These are both so cool! 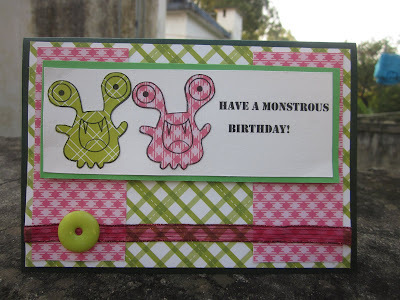 I love how she paper pieced the [not very scary] monsters and love the party going on in the second!